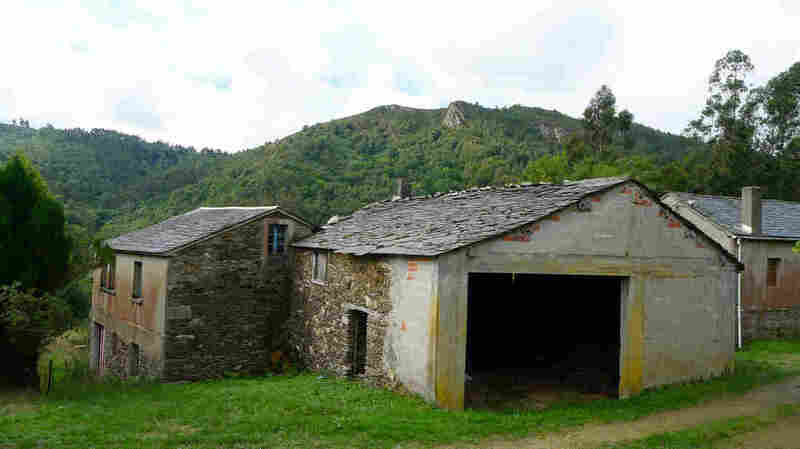 The abandoned village of O Penso, in northwest Spain, is for sale for about $230,000. The last resident died a decade ago. The village includes 100 acres with half a dozen houses, two sprawling farms with room for 70 cattle and a stand-alone bread-making kitchen. "There was a time when this place was growing! But not anymore. This pueblo is dying," says Felix Sacristan, who's 55 and unemployed, living in his late grandfather's house. "The only ones left are the elderly. There are lots of abandoned homes." "This land used to be for cereals, but it's difficult to grow anything else," Sacristan says. "And who wants to be a farmer these days now, anyway?" Now there's been a third exodus, amid the recent economic crisis. But it's not just on Spain's harsh central plans. Even villages in the country's most fertile northwest region, Galicia, are being depopulated. The lush Galician landscape once supported Spain's highest population density, and half of all Spanish villages — some 3,500 hamlets — are located there. Now nearly half of these villages are abandoned. Enter Mark Adkinson, a British-born real estate agent who scours the countryside for abandoned properties, and tries to match them up with foreign buyers. "Some of the places I'm finding have been empty for 50 or 60 years," Adkinson says. "And my job is to try to find the descendants." He drives around Galicia, dropping off leaflets at boarded-up old homes, asking owners if they'd like to sell. Adkinson unfurls a map annotated with hundreds of abandoned villages as he takes NPR on a visit to one of them. Mark Adkinson, a Briton who lives in Spain, runs a real estate agency selling abandoned villages and other historic properties. 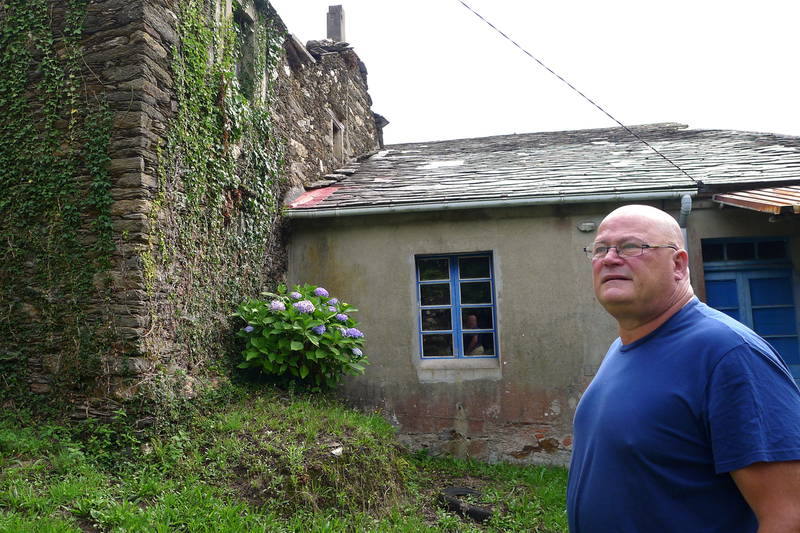 Here Adkinson stands amid buildings for sale in the abandoned village of O Penso. Down a track about a mile long, he arrives at the village of O Penso — which has "100 acres of land, a total of six houses, two barns and a big cattle barn that'll hold 70 cattle," he says. The village, near Ortigueira, comes with free well water and a bakery with a stone hearth. Six miles away, green cliffs drop off onto white sand beaches — and some of Europe's best surfing. The biggest of the village houses has hardwood floors and five bedrooms overlooking an orchard with peaches, figs, walnuts, apples and pears. At the bottom of the valley, there's a little river full of trout. Prospective buyers include British retirees, Adkinson says, and an Indian who has expressed interest in converting the hamlet into a yoga retreat center. "There's also an American who already lives in Spain and wants to set up an English school here," he says. "I've got lots of buyers who want to go back to nature — and let's face it, there's nothing more natural than this." O Penso's last resident died a decade ago — leaving the village uninhabited for the first time in perhaps 500 years. In the surrounding area, "When you talk to the old people, tears come into their eyes," Adkinson says. "They say, 'Oh, there were a lot of kids, this place was alive!' They'd like to see these places picked up and turned around. They don't want them to die." 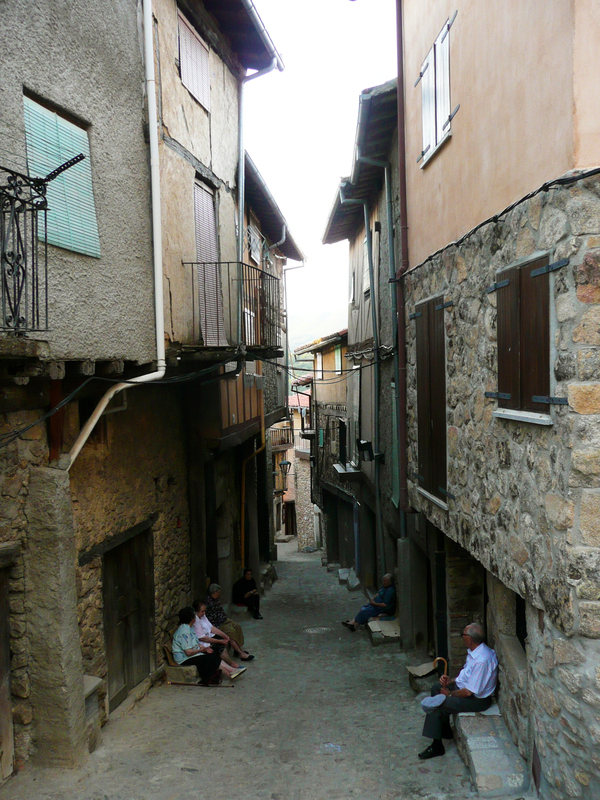 But many local Spaniards just don't want to live in villages anymore. They migrate to bigger cities for jobs, education, access to public transit and health care. There are six abandoned houses in O Penso, a village for sale in northwest Spain. Back out on the paved road, at a tiny café, Maria Benedicta Fernandez meets with fellow retirees and reads the morning newspapers. She was among the last to leave the picturesque stone village where she was born. 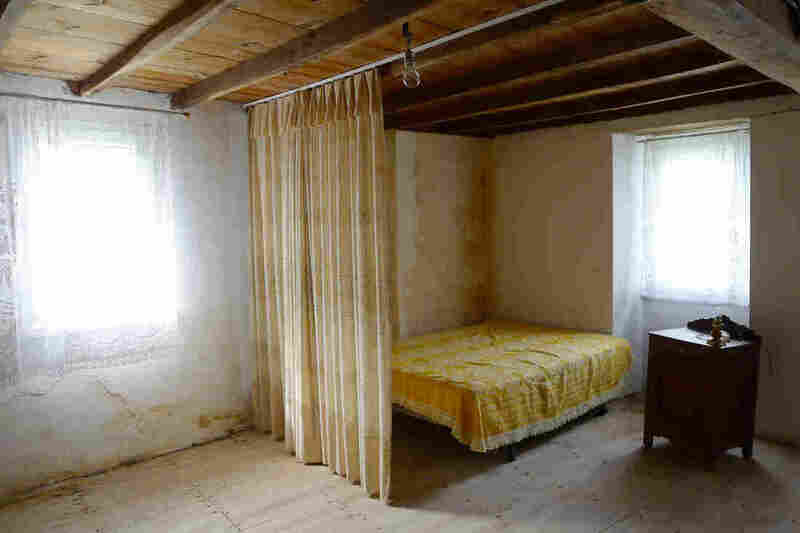 Only the four walls — no roof — remain of her ancestral family home. She prefers now to live in a rented apartment in a bigger town nearby, with a medical center. "Everyone else left, too, or they've died, and the local school closed," Fernandez says. "There aren't enough children anymore." Galicia's birth rate is 1.1 offspring per fertile woman — one of the lowest rates in all of Europe. The region is on track to lose a third of its population in the next 35 years. Desperate times call for desperate measures, says Avelino Luis de Francisco Martinez, the mayor of Cortegada, a rural town in southern Galicia. An abandoned hamlet that's part of his town isn't for sale. He's giving it away. "For free! Someone just has to promise to renovate the 12 ruined houses," he says. "They're beautiful — bucolic! Next to a river and an 18th century royal procession path." The challenge? "We just need to find someone to live here in this century," he says.